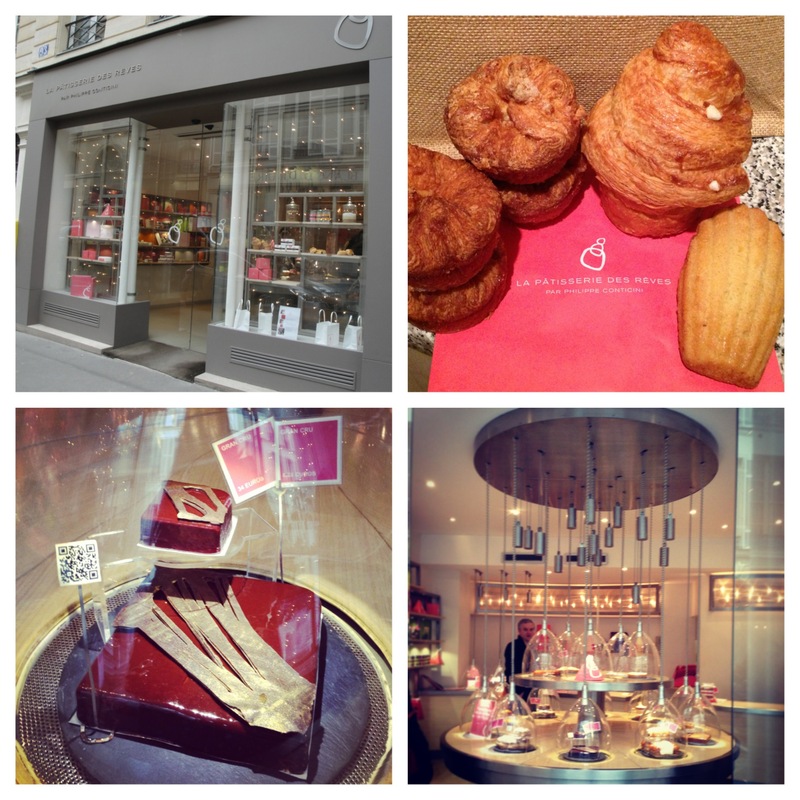 Oh la la… treats in Paris – Food That Makes You Smile! It’s been a long time coming, but I have finally got around to showing you the remainder of the magnificent treats we had in Paris… from a street vendor making fresh crêpes to the infamous macarons from Pierre Hermé! 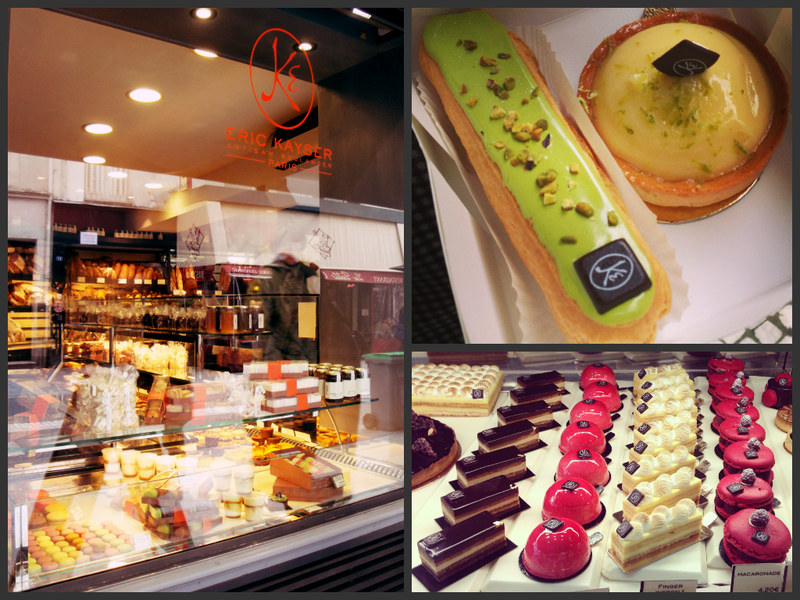 One of the first places we visited was Eric Kayser’s bakery, or ‘Artisan Boulanger’ as he calls himself. They displayed their offerings in the most pleasing way to the eye, we wanted to buy everything! But instead we chose 2 treats: the Tarte au Citron and a Pistachio Éclair. Both really tasty, but especially the tart – the tangy lemon filling was so delicious! 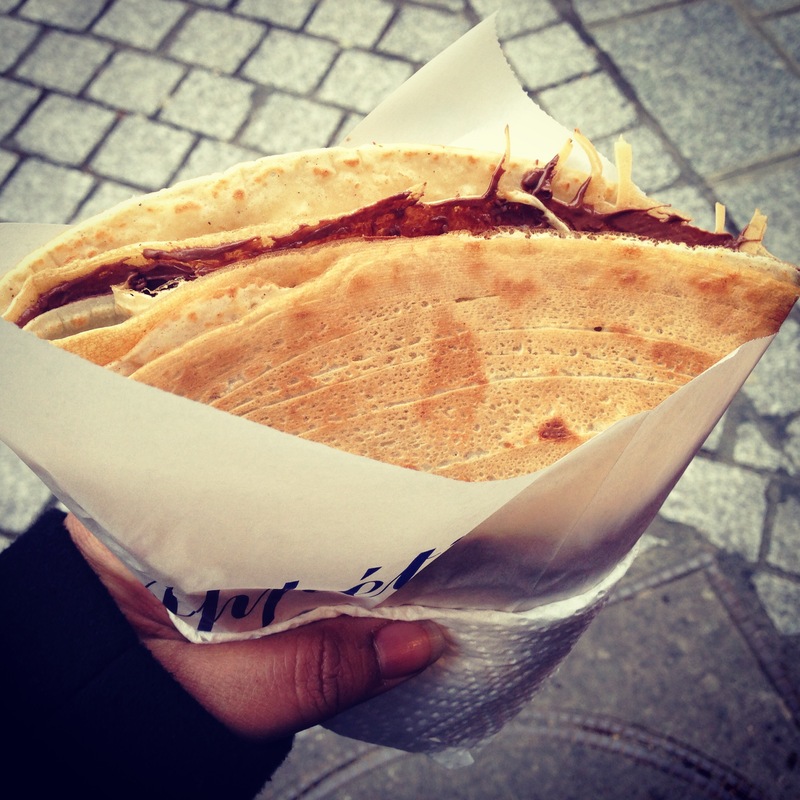 Of course when in Paris you have to get yourself a crêpe – standard. I got myself one with a Nutella and strawberry filling. We visited the oldest Patisserie in Paris called Stohrer, open since 1730. Obviously it’s a must-see for people on a pastry tour because the variety of goods on offer are both intriguing and tasty! I didn’t get a chance to take a photo of the Tarte Tartin my sister bought from there – she demolished it within seconds, with a big satisfied grin on her face. So you know it was good – their website has some amazing photos to prove it. 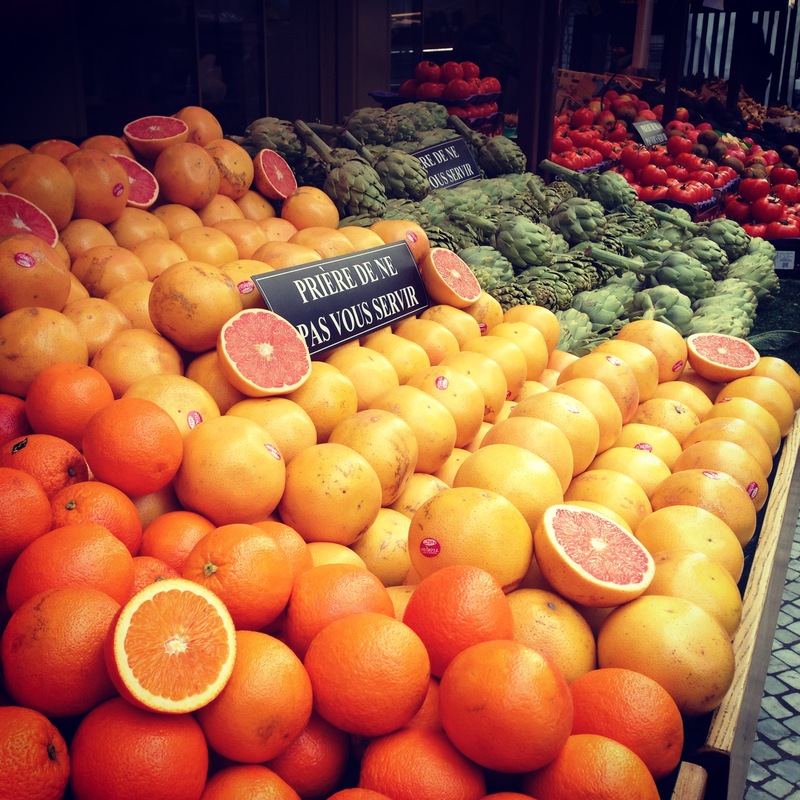 Walking by some food markets, I couldn’t help but admire their displays. Colour-coded and looking fresh! La Pâtisserie des Rêves is my most favourite place in Paris. Why? Because that’s where you can buy the most delicious treat to ever come out of Paris. And no, I do not mean the macaron, but actually the ‘Kouign Amann’ which basically translates as cake butter… or butter cake. It’s the one in the top right corner picture, on the left. It’s a bread dough with layers of butter and sugar folded in and baked until it’s puffed up and caramelised. The French buttery goodness and the syrupy coating is to die for – I could write a whole blog post on just this! It is a must try for all. 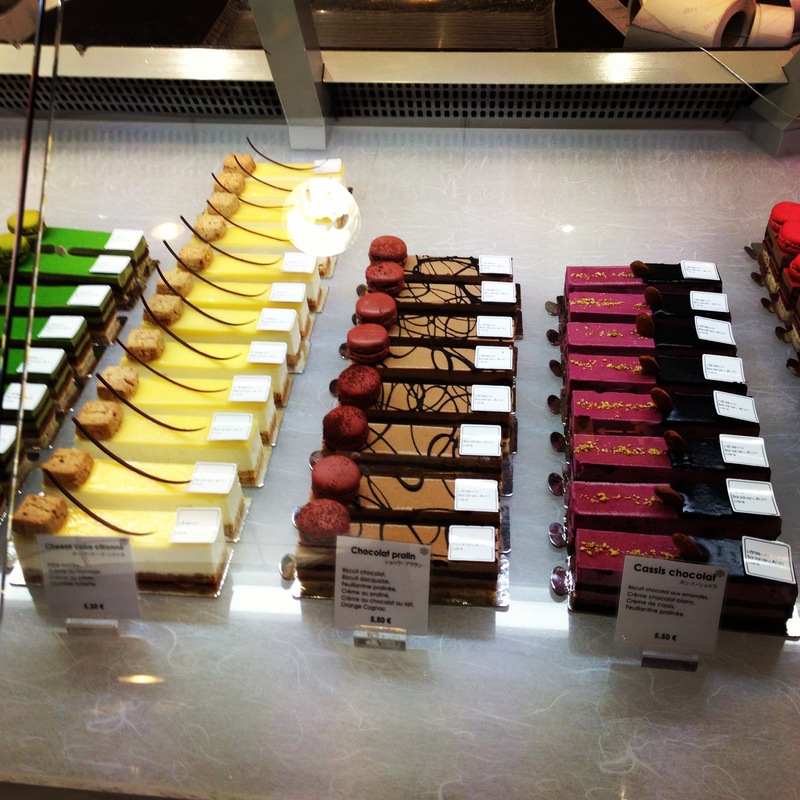 On our last day we visited the food courts in a department store called Galeries Lafayette which contained even more amazing pastries to admire. This is just what I love – precision! 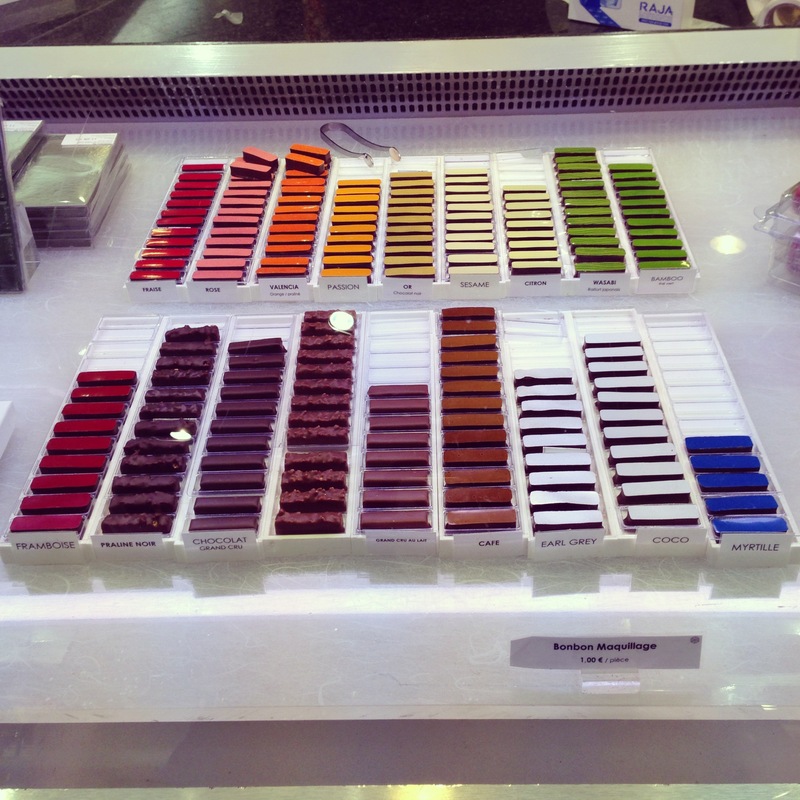 Japanese-French Pastries by Sadaharu Aoki. And chocolate too! 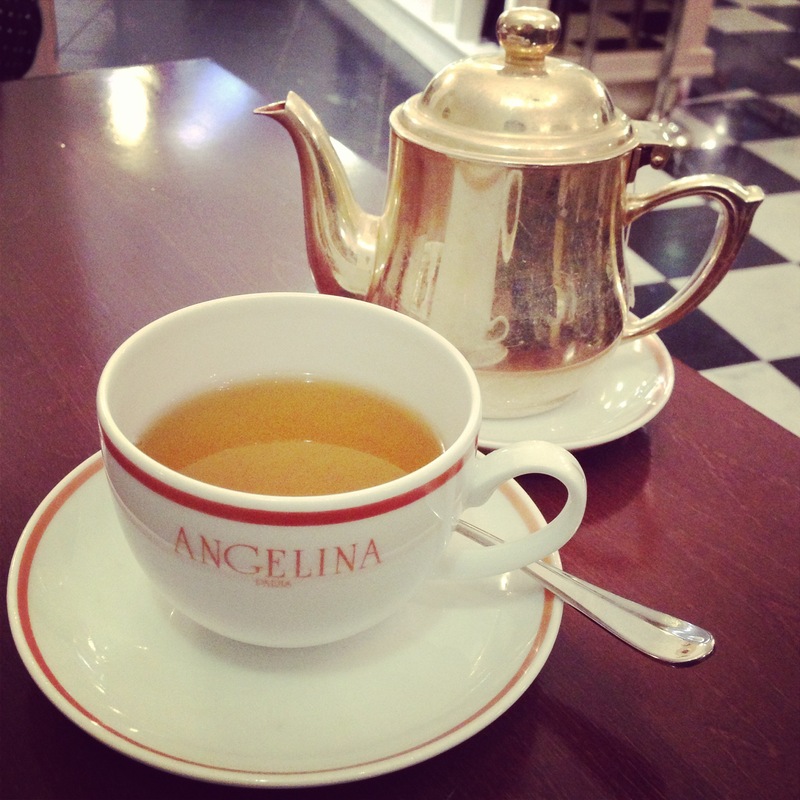 Look at those pretty colours… We finished our trip with a rest and some tea in Angelina in Galeries Lafayette, before heading back to our hotel and making our way back to London. 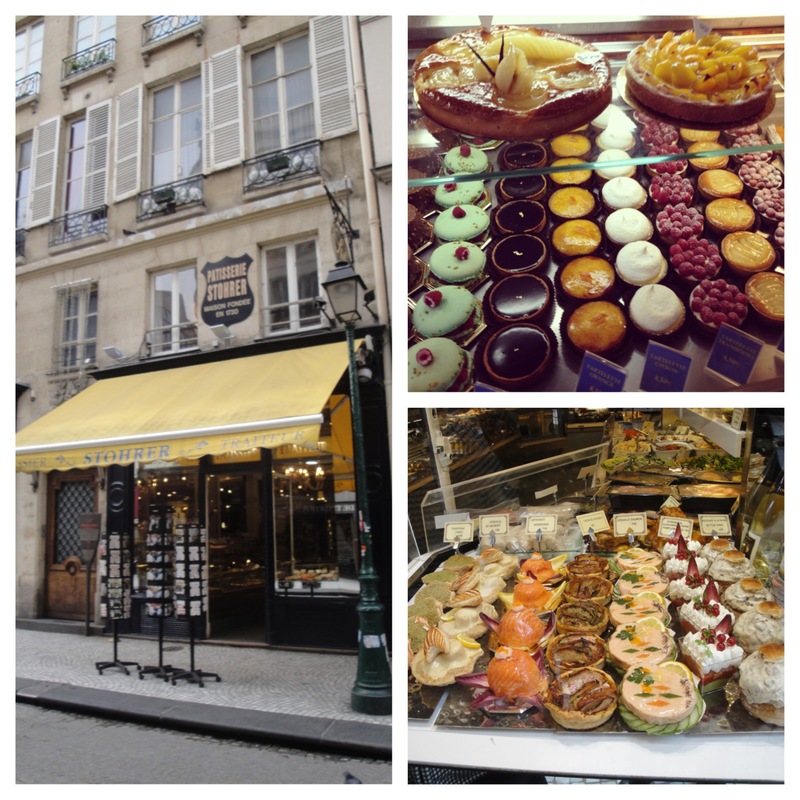 My full-on three day whirlwind romance with Paris ended with a smile on my face and a consistently full belly. 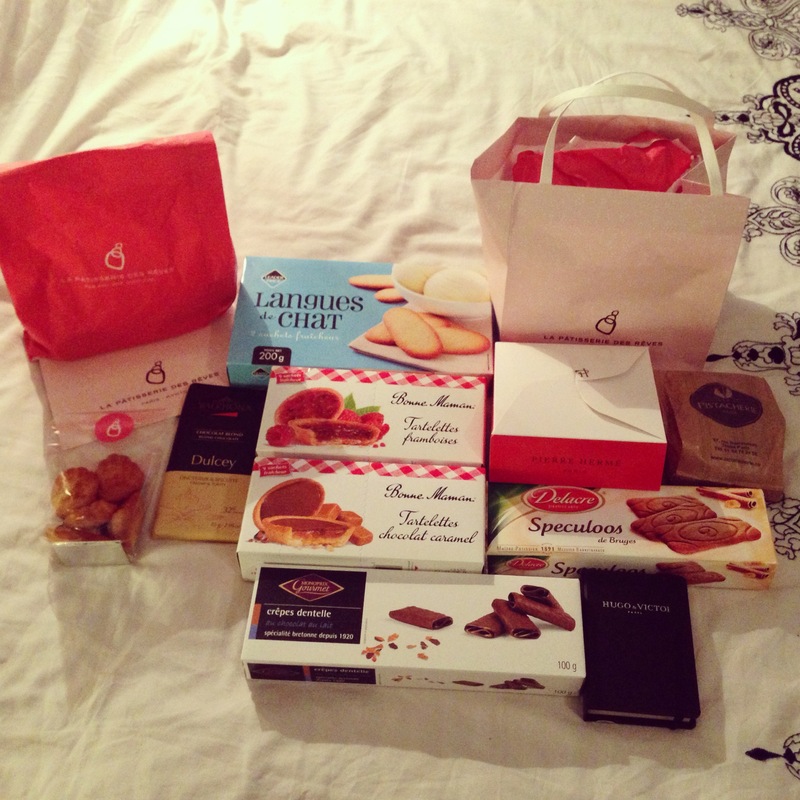 And of course I came home with all of these treats! 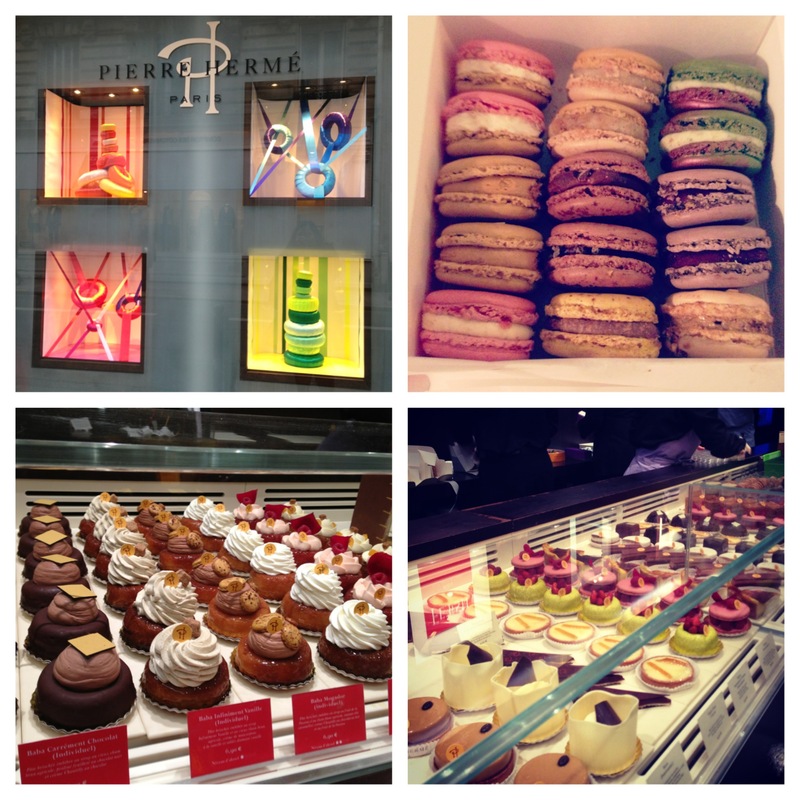 Pingback: La Pâtisserie des Rêves in London | Food That Makes You Smile! Pingback: La Pâtisserie des Rêves – Back To School Picnic 2015 | Food That Makes You Smile!